Vishwas Rao scolds Pari and tells her parents that girls should be kept under limits, else it is difficult to get them married and asks if Pari knows household chores and cooking. Shubhangi angrily says Pari is always busy decorating pots and angrily breaks pots. Pari stands crying more. Sai goes seeking charity when he sees Tatya and Keshav loading cart with grocery and discussing they have to meet British base camp chief officer. He walks to them and asks how is their business going. They both smile and says it is going well, today they will meet British base camp chief officer. 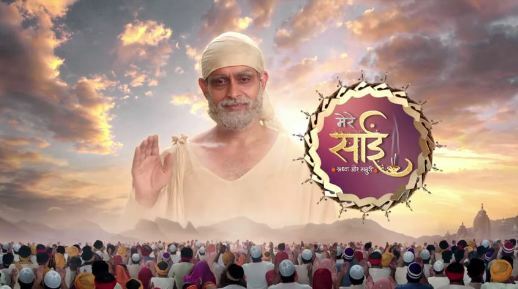 Sai suggests them to keep their faith and patience active and says each person would be having one or other issue in their lives, some will be in tension but won’t let others know, so they should handle situation calmly with love. At British base camp, chief officer gets angry that vegetable vendor did not deliver vegetables yet and soldiers are pestering him for food. Tatya and Keshav walk in and say they are wholesalers and can supply grocery and vegetables. Officer laughs at them that they are small kids with their milk teeth intact and want to do business. Tatya gets angry seeing his arrogance and tells Keshav let us go from here. Keshav reminds him of Sai’s teaching before coming here. They request to test them once. Officer says he needs vegetables for 200 people and has only 50 people’s vegetables, if they can bring 150 people’s vegetables within 1 hour, he will give them contract from tomorrow, else they should not return here. Tatya and Keshav smile and hurry up from there. Pari sitting at her house sees birds flying and thinks all birds are waiting for her at Lendi Bagh, but she cannot go as Aayi/mom has ordered not go out in sun. Sai hears her and gives moral gyaan and plays bansuri/flute. All birds fly to Pari’s house. Pari gets happy seeing them and runs to get grains for them. She runs in and picks jowar. Shubhangi asks what is she doing. She says birds have come to meet her and she will feed them jowar. She picks jowar in her hands and runs out to feed birds. Jowar falls all the way. Vishwas Rao brainwashes Shubhangi that Pari is wasting precious jowar on birds while she has to learn cooking for people; if she does same at her sasural, she will be kicked out. Precap: Udhav and Govinda invite Pari to have jalebi and kachori with them. Shubhangi stops Pari and orders she will not step out of house from sunrise to sunset from today.